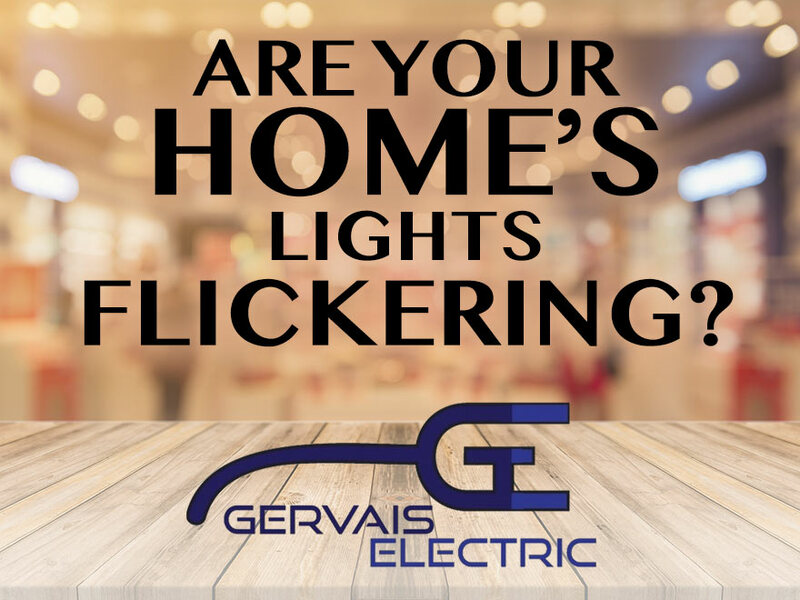 What is Causing Flickering Lights in Your Home? As homeowners, we are always looking out for ways to improve energy savings while ensuring the safety and well-being of our families. If your home is experiencing flickering lights, most homeowners may think there’s a serious issue with their home’s electrical system. This is not always the case. Chances are, flickering lights may not be directly linked to your electrical system. It is, however, still important to investigate the issue to discover where the problem lies. Take the time to determine which lights are flickering and why. To understand how to service your lighting problems, you first need to identify your home’s exact situation. If only one bulb in your home is flickering, the problem will, nine out of ten times, be caused by the bulb itself. Solving a single flickering light problem begins by ensuring that the light bulb is fully tightened in the socket. If it is not, chances are the connection between the bulb and the socket is interrupted. To repair it, be sure to turn the power to the light off first before you attempt to resolve the issue. Simply adjust the bulb completely by screwing it tightly into the socket. If, after making this simple adjustment, the light continues to flicker, the problem may be because the bulb is nearing the end of its lifespan and needs to be replaced. 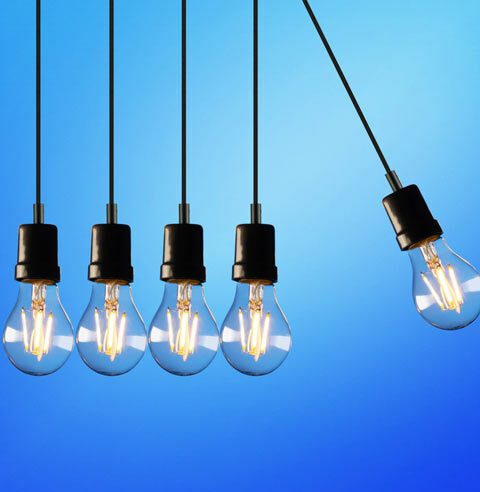 If you find that replacing the bulb with a new light bulb does not solve the problem, then it’s time to give focus to the light fixture or the light switch. There may be a loose connection in the light fixture or the switch may have a loose connection to one of the terminals. Turn the light switch on and off several times to see if this puts an end to the flickering. If that does not solve the problem, then it may very well be time to replace the light switch or check the wiring in the wall or the light fixture. This is where the professionals Gervais Electric come in. Our qualified electricians are on hand to take care of all your electrical issues, from light switches and receptacles to other troubleshooting methods that may require more technical testing to reach a definitive conclusion. If the flickering light stems from a bulb in a lamp that is plugged into a wall socket, turn off the power to the lamp then unplug it and re-plug it into a different wall socket. Turn the power on. If the light flickering has stopped, then the problem lies within the socket itself. For this type of electrical problem, the professionals at Gervais Electric, Inc. are on hand to help solve that problem as well. Remember that detailed electrical work can be complicated and quite dangerous if not performed by professionals. If you have multiple flickering lights in your home, more than likely you have a much bigger issue to deal with. Inclement weather can certainly cause flickering lights, but if the problem occurs quite frequently then the source may be that the voltage in your home has begun to fluctuate. You should keep track of when the flickering occurs and provide these details to the electrician when he arrives. A professional can evaluate your entire situation before it gets even worse—providing you with effective solutions and normally quick turnaround times. If you have noticed that the lights in your home flicker for just a quick moment immediately after turning the light switch on but then become fully illuminated in a matter of seconds, there is no need to fret. If you are using fluorescent light bulbs, this is quite common. The slight flickering when first turning the light on is natural provided the flicker stops after the fluorescent bulb is fully warmed up. If you find yourself still unsure of what the source of the problem may be, then don’t delay in contacting our professional electricians. We will come out to your home and evaluate your current situation. Our professionals can determine the underlying cause of your flickering lights, identify the problem and provide effective and efficient solutions. When you rely upon our top-rated electricians, you are putting your trust into the hands of some of the absolute best in Middle Tennessee’s electrical profession. Reach out to Gervais Electric by calling 615-973-1436 or send us an email on the short form below for a quick response back!